Your little one can head to school in eco-style with a Dylbug personalized lunch box. Each old-fashioned lunch box is crafted of lead-free tin with a cute design on both the front and back that includes your child’s name. Inside there’s a unique chalkboard lining where parents can leave love notes for little ones or a reminder about after-school activities. This lunch box can also be used as a sweet bedroom accessory or personalized gift box, with plenty of room to store small treasures. 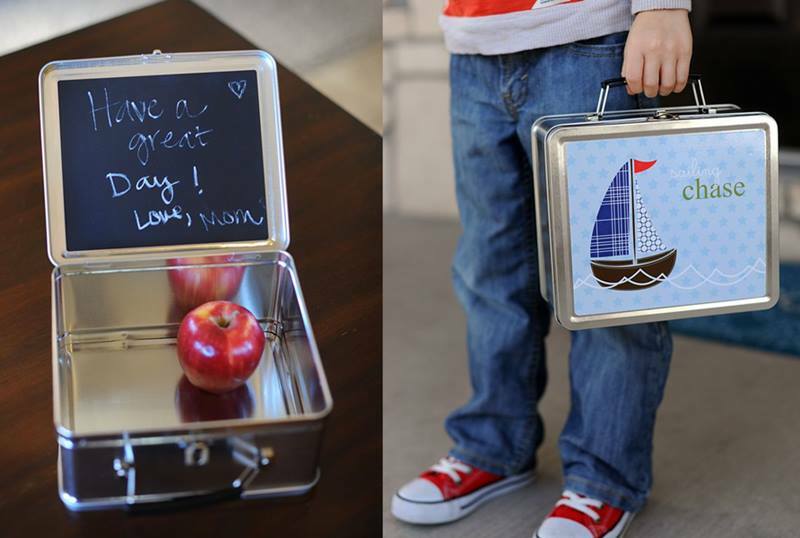 Your little one can head to school in eco-style with a Dylbug personalized lunch box. Each old-fashioned lunch box is crafted of lead-free tin with a cute design on both the front and back that includes your child's name. Inside there's a unique chalkboard lining where parents can leave love notes for little ones or a reminder about after-school activities. This lunch box can also be used as a sweet bedroom accessory or personalized gift box, with plenty of room to store small treasures.